Namibia is a country where the education matters much.It is proved by the Namibian medical students who are studying in Belarus at medical universities and also at other universities. Belarus welcomes Namibian students for undergraduate and graduate courses in all fields of education for 2019 intake. The major city from where students arrive Belarus Windhoek and it is also the capital of Namibia. There are some other cities too in Namibia but very few students come from those smaller cities due to very low population ratio. Namibian international students depart from the Windhoek international airport to Minsk international airport. As the official language of Namibia is English so all Namibian students study their academic programs in English medium of instructions. But those only who want to pay a low tuition for their degree programs study for the first year at preparatory faculty. Namibian students scan their secondary school certificate with international passport in the email of admission office (studyabroadbelarus@gmail.com) for eligibility assessment and this process takes 1-2 days once admission staff receives the documents. Eligible applicants are informed by email about their eligibility and than they send the admission processing fee. Upon receiving the invitation processing fee their documents are forwarded for the processing and the processing time is two weeks. Once the invitation is issued and approved by the federal migration department it is couriered on the postal address of the applicant with OK TO BOARD letter for departure from Windhoek international airport. 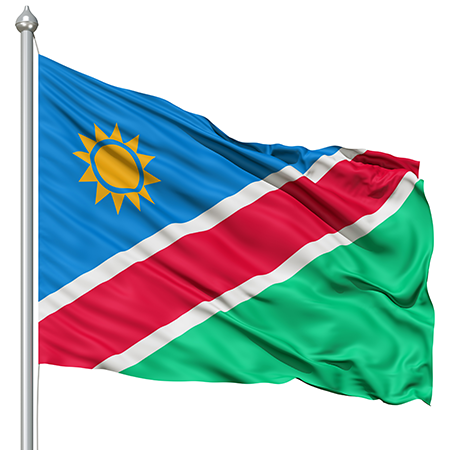 Namibian students obtain their visa at the Minsk International Airport with the help of official study invitation and OK TO BOARD letter issued by the Migration department in Belarus. Once applicant receives the official study invitation,He/She buy the air ticket and scan to the admission office and in response OK TO BOARD is issued and than only and applicant may depart from the Windhoek international airport. Our staff prepares the reception documents for the arriving students to clear the Minsk immigration and receive the student very carefully with a much warm welcome. Namibian students pay the visa fee 130$ at the immigration counter and the visa is pasted in his//her international passport. So in case you are from Namibia and thinking to join your degree program in Belarus for 2019 intake than be fast and call or write us for a very quick admission today.